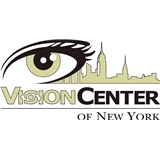 Vision Center of New York (Bay Plaza) (Bronx) - Book Appointment Online! Vision Center of New York is a premier comprehensive ophthalmology practice. We appreciate the trust our patients place in us. Our goal is to provide the highest quality of care in our friendly, warm and state-of-the-art eye care center. Our experienced staff is committed to using the most advanced technology and surgical techniques to preserve and restore your vision. Conveniently located in the Bay Plaza professional building in Co-op City, Bronx, we provide a full range of eye care services, including the latest treatments for: Cataracts	LASIK Vision Correction Glaucoma	Eye Trauma Diabetic Eye Disease	Macular Degeneration Dry Eyes	Glasses Evaluation We accept over 40 insurance plans, including HIP, GHI, United, 1199, Empire, Oxford, Aetna and Medicare. He was extremely professional and courteous. Personable as well. Will visit again.